Every once in a while I manage to buy something that I then wear all the time. A weirdly huge feat. Since their purchase a little over a month ago, I've blogged these Ferragamo slides six times, and worn them even more. Hey at least you're getting great use out of your purchases! :) I love this look, it's so summery and fresh. 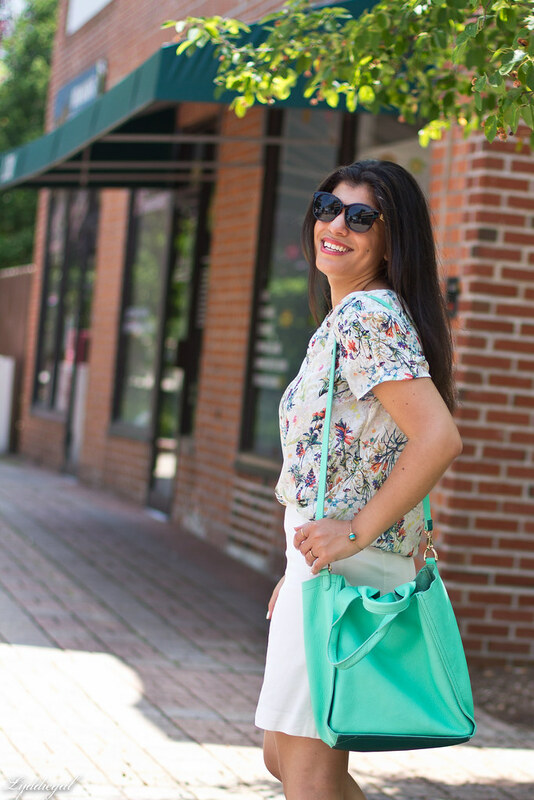 Your top is so stunning and love your teal bag! Bummer! That top is sold out! It is absolutely gorgeous though and I love it with your skirt! Ahh the free shipping minimum always gets me! 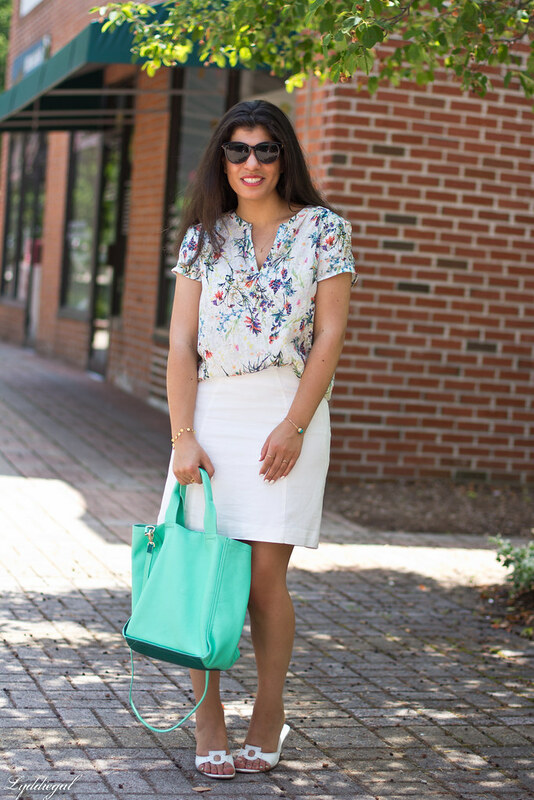 Love this look, the print of your blouse is gorgeous and this skirt looks fantastic on you! I cannot say anything about curbing shopping habits today - my beloved Sezane launched their sale selection on their website today and although my order was the cheapest I've ever placed, it was still an order for something that, it could be argued, I definitely don't need. Nonetheless. Recognising we have problems is the first step, right? ;) And progress is progress - I didn't realise you'd been wearing those slides so often, they somehow look new and different every time. Clearly that means they were a worthwhile purchase. And they do look fabulous with your top. Such a cute blouse! You look so perfectly summery! Your blouse is so pretty. 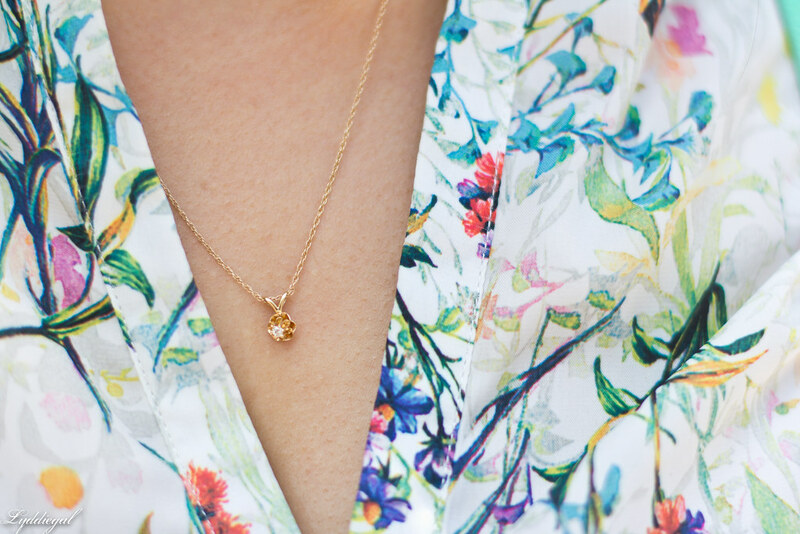 The print is beautiful and I love your tiny dainty necklace. Oh that blouse is so so pretty! 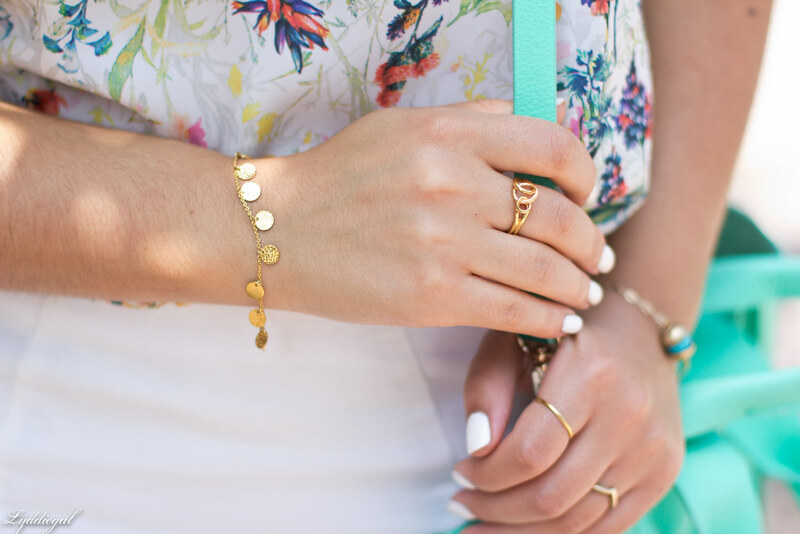 This is a perfect summery outfit! The blouse is so pretty and cheerful! Love this summer look, so fresh and clean. I love that top so much! Definitely a great buy! I love your look this shirt is really pretty, nice combo dear. 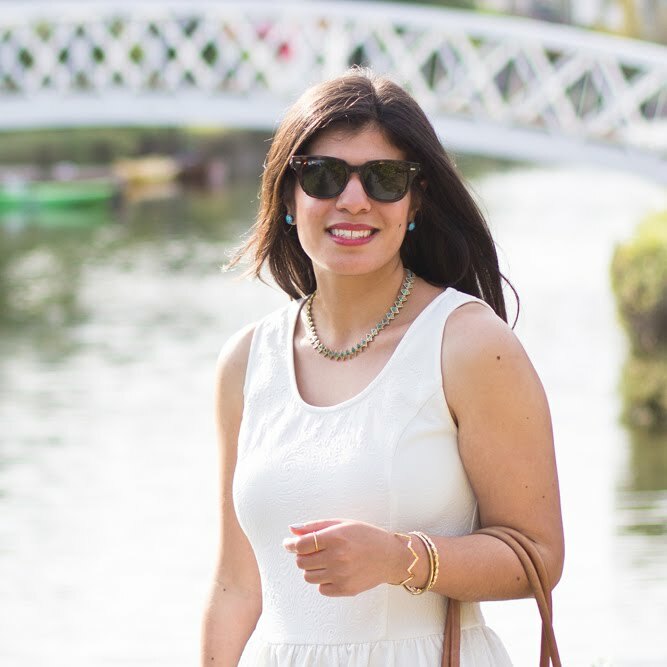 Love this summery, all-white look! Your bag adds a nice pop of color. Isn't it great when you find an item like that?! 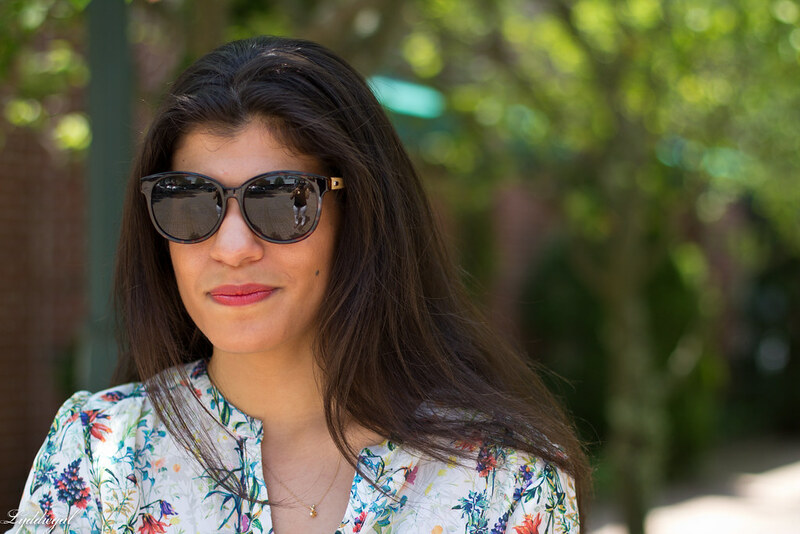 When I get something new I love, I totally wear it over and over. 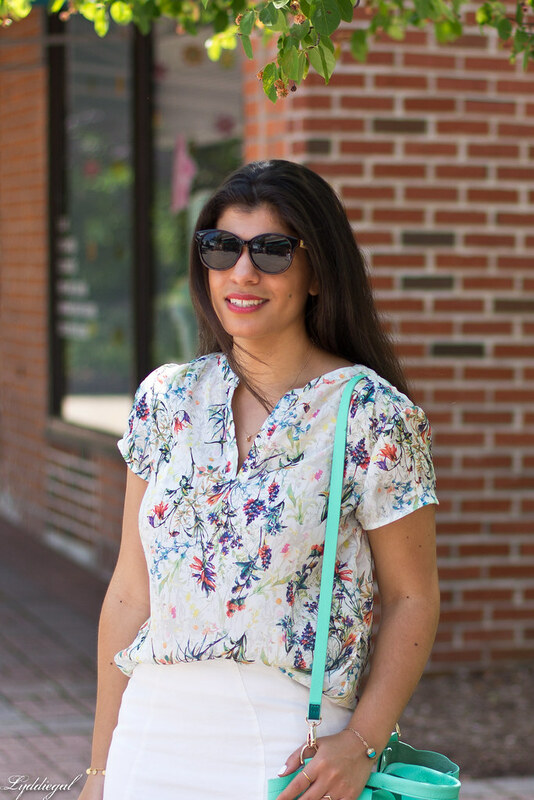 Loving the floral top. Love your white pencil skirt! The fit is perfect. And I would definitely be wearing those slides all the time too - so great for summer! I love this bright and flowery look! So fresh and happy! When you wear something again and again that means it's an excellent piece. Great skirt and beautiful top! If you lived nearby I would drop by your house and ask to borrow this entire look .